UFC 209 takes place this Saturday in Las Vegas, Nevada as two championship bouts are set to take place at the top of an exciting fight card. In the main event of the evening, UFC welterweight champion Tyron Woodley looks to defend his belt in his rematch against Stephen Thompson with their first competition ending in a draw. 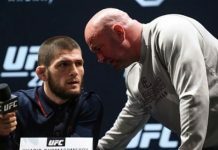 A UFC interim lightweight champion will be crowned as #1 and #2 UFC ranked lightweights Khabib Nurmagomedov and Tony Ferguson will finally meet in the Octagon to settle their score. The winner of the interim lightweight title fight will be looking to unify the belts with current undisputed lightweight champion Conor McGregor. Who are you picking to win in the two UFC title fights taking place this weekend on the UFC 209 card? 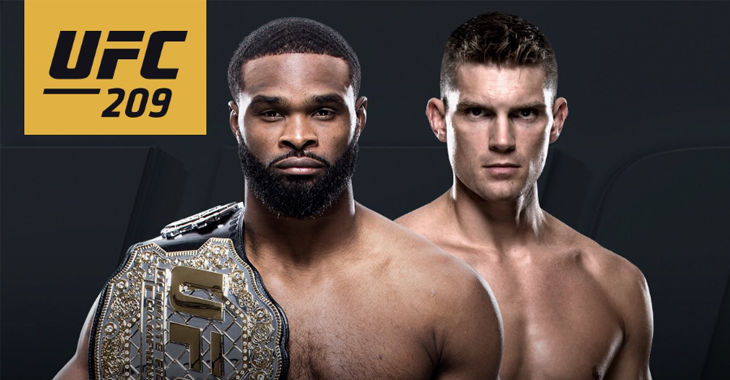 Will Tyron Woodley retain his belt or will Stephen Thompson achieve his dream of becoming a UFC champion? 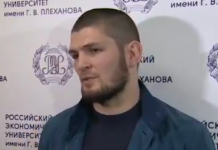 With Khabib Nurmagomedov and Tony Ferguson meeting for the interim title, who will come out with their hand raised and look to take down Conor McGregor in a unification title fight? Sound off in the comment section!